Love to play the game? We have you covered with ongoing adult recreational leagues, tournaments, pick up basketball and youth skills & play. All played on LIFE TIME’s best-in-class courts and facilities. Ultimate Hoops revolutionized the recreational league experience to become the largest recreational basketball league in America. The Ultimate Hoops National Basketball Tournaments give league players a first-class opportunity to compete for their region. Register for our ULTIMATE 3 adult basketball tournamentS happening at LIFE TIME locations across the nation. Register for our ULTIMATE 5 adult 5x5 basketball tournament happening at LIFE TIME locations across the nation. With a LIFE TIME membership, you can compete in daily pick up ball games at over 110 Life Time locations in the U.S. & Canada. 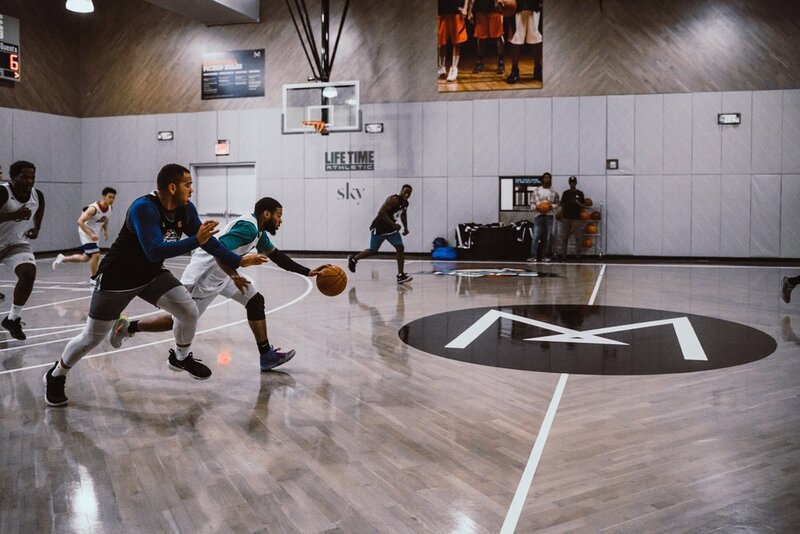 Compete in the Ultimate Hoops adult recreational league on the most famous basketball court in New York City. Team and individual registration available. The closest thing to the NBA. A true, individual experience where your career begins at a draft, 12-game season, then playoffs with $2,000 in cash prizes.